Two key measures, neuronal viability and neurite dynamics, are used to define the neuronal phenotype and assess neurons in culture. These measures are often applied in neuroscience discovery to assess new pathways and mechanisms that play a role in neuroprotection, development or disease, and even neurotoxic effects of new test compounds. 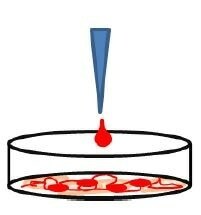 Several standard techniques are available that measure neurite dynamics and cell viability, and these techniques depend on endpoint assays as well as laborious imaging methods that necessitate immunochemical staining. 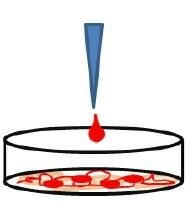 IncuCyte® Neuronal Assays enable real-time, automated multiplexed measurements of neurite dynamics and cell viability. In several cases, non-perturbing live-cell reagents can be integrated with label-free readouts to differentiate treatments that impact one or more aspects of neuronal cell health. 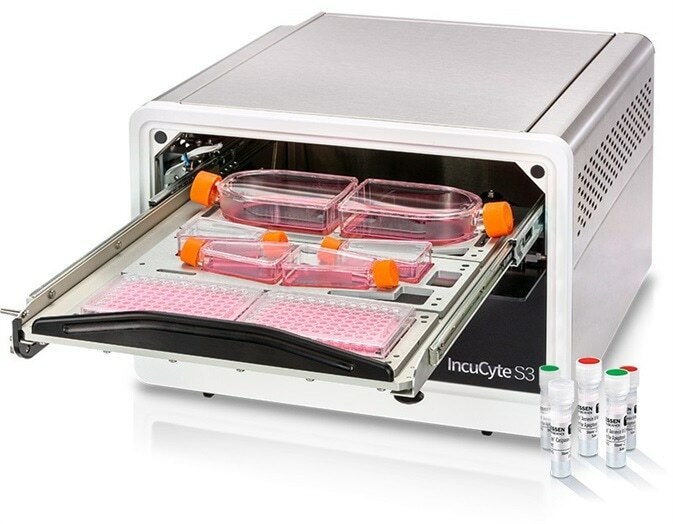 The compact, automated optical instrument, IncuCyte® S3 Live-Cell Analysis System, is placed inside the traditional culture incubator and is employed for long-term kinetic imaging and analysis in HD-phase contrast as well as fluorescence. A robust software package is a vital part of the IncuCyte® system as it enables automated data acquisition, image processing, and analysis. DIV 0: Primary rat forebrain neurons 15K or 45K neurons per well is plated. 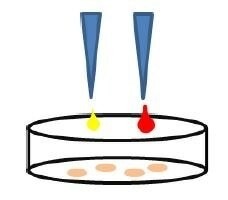 NeuroLight, a red lentivirus synapsin promoter, is added after four hours for Fluorescent NeuroTrack experiment. 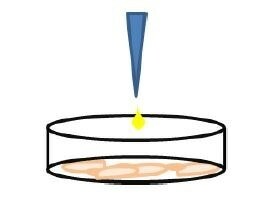 DIV 1: Primary rat astrocytes 15K or 20K astrocytes per well is plated. DIV 9: Glutamate CRC ± MK-801 is added; Cytotox or Annexin Reagent is scanned every six hours – out to DIV 13. 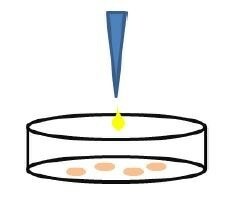 DIV 0: Neuro2A cells 4K cells/well are plated in 10% serum. DIV 0 + 4 hour: Feed with 20μM retinoic acid, 2% serum (differentiation); U0126 CRC and Annexin Reagent are scanned every six hours – out to DIV 3. The IncuCyte® S3 Live-Cell Analysis System automatically captures the complete kinetic response in the biological model, enabling observation and quantification of cell behavior over time. Experimental conditions can be maintained with non-perturbing reagent formulations and label-free analysis options. Better throughput and productivity - experiments can be run in six, 96- or 384-well plates at a single time with complete solution protocols and analysis modules. Imaged-based approach for visual analysis of cell morphology and metric verification. Application-specific automated image processing tools according to user-defined parameters. 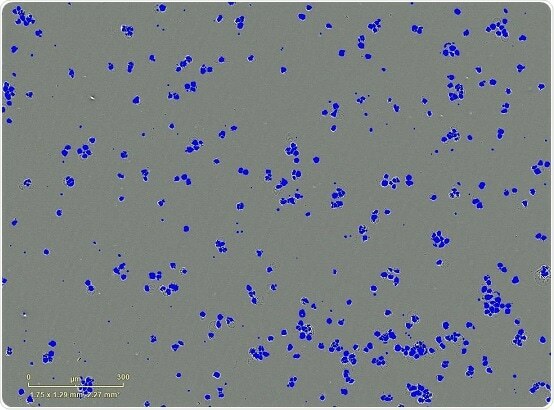 Glutamate-induced excitotoxic cell death in primary rat forebrain/astrocyte co-culture was quantified through continuous, long-term live cell analysis with IncuCyte® Annexin V and Cytotox reagents. 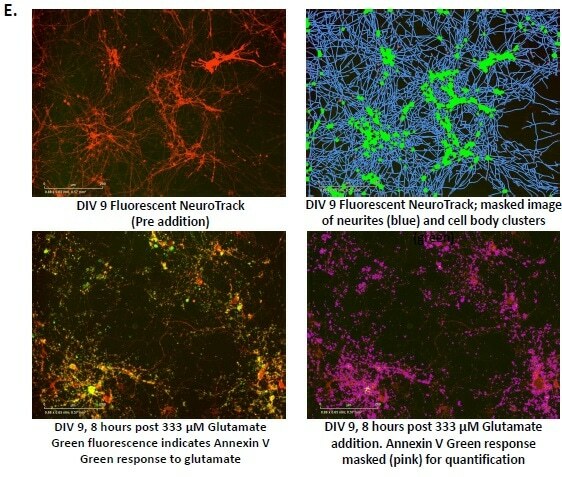 In order to assess glutamate-induced apoptotic cell death and the reduced neurite length in the experiment, the IncuCyte® Annexin V Green was multiplexed with Fluorescent NeuroTrack Neurite Dynamic measurements. The dual MEK1/MEK2 inhibitor U0126 reduced the neurite length at 10 times lower concentrations over those that induced apoptotic cell death (Annexin V Green) in differentiated Neuro-2a cells. These results show that the IncuCyte® S3 is a unified platform, which can be used to evaluate neurite dynamics and neuronal cell health with Annexin V and Cytotox reagents, together with the NeuroTrack analysis software in a kinetic live cell analysis approach. J. N. Rauch, M. L. Bowe, L. Oupicka, D. M. Appledorn and D. M. Rock. Founded in Ann Arbor, Michigan in early 90’s, Essen BioScience specializes in developing and manufacturing instruments, software, reagents and consumables for real-time live-cell imaging and data analysis. Essen BioScience has a long history of innovation, including FLIPR and IonWorks, two laboratory instruments that revolutionized industrial screening approaches to G-protein coupled receptor and ion channel target drug discovery. 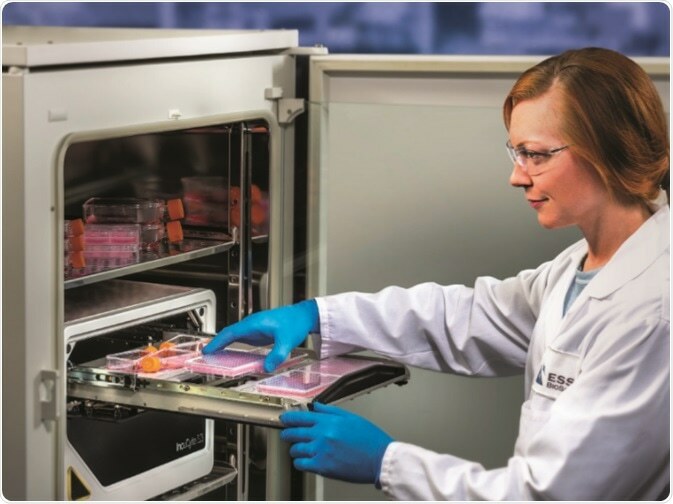 In 2006, Essen launched a third ground breaking platform technology, the IncuCyte®System, a real-time quantitative live-cell imaging and analysis platform enables visualization and quantification of cell behavior over time (from hours to weeks) by automatically gathering and analyzing images around the clock within a standard laboratory incubator. The system allows researchers to make time-lapsed fully kinetic measurements from living cells over days and weeks thus providing insight into active biological processes in real time. The IncuCyte® System, with its continuous live-cell imaging and quantitative data analysis capabilities allows researchers to conduct a variety of live-cell assays in a faster and automated way. Their live-cell imaging and analysis tools are used in academic and industrial laboratories throughout the world. You can view the publications using IncuCyte's live-cell imaging and analysis HERE. 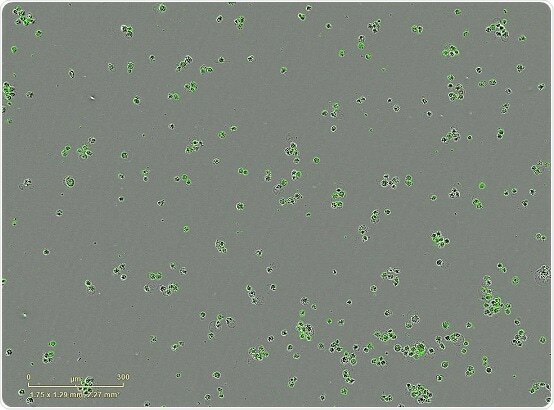 Whether you need to evaluate common processes such as cell proliferation and viability or measure functionally-specific activities such as T cell killing, chemotaxis, migration & invasion or phagocytosis, their R&D scientists and product specialists can offer consultative support that is customized to your research needs. Their goal is to enable advancements in life science research through more informative cell-based assay solutions.